Defying Dementia invite you to a panel discussion exploring the issues surrounding dementia and the experiences which the disease brings with it. Defying Dementia is a community-supported campaign designed to change the world that we live in and make a real difference to people's lives, by tackling the big threat that is presented by brain diseases, such as Alzheimer's, Parkinson's and Motor Neurone Disease. Arno Geiger is an Austrian novelist. He studied German and comparative literature at the Universities of Innsbruck and Vienna and his debut novel appeared in 1997. In October 2005, he was the recipient of the first German Book Prize for his novel We are Doing Fine and his writing has won numerous other prizes. First published in 2011, his autobiographical The Old King in His Exile is an account of Arno's relationship with his father as he develops Alzheimer's. This novel is due to be released in English in January 2017. Dr Penny Foulds; originally a secondary school Science teacher, Dr Foulds became interested in Alzheimer's and dementia after her grandparents both developed the condition. She went on to complete a PhD at Lancaster University and founded the Defying Dementia campaign in January 2015, then last year Penny co-founded The Bay Dementia Hub. Dr Foulds now works for MAC Clinical Research, aiming to progress a promising Alzheimer's drug into human clinical trials. Professor Paul Rodgers is a Professor of Design at Imagination, Lancaster University. His research explores the discipline of design and how disruptive design intervention can enact positive change in health and social care. 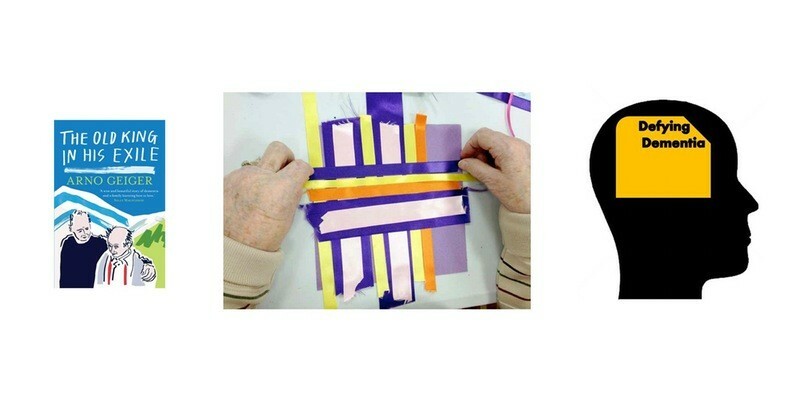 Professor Rodgers founded the Disrupting Dementia tartan project sessions for people with dementia in Scotland and the Perfect Day project which is aimed at dementia care support workers. The discussion will be chaired by Nick Fragel, Director of Development and Alumni Relations at Lancaster University. Free, but booking essential via Eventbrite.